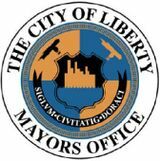 The Mayoralty of Liberty City is the basic administration and total functional of Liberty City. The central office also called the mayor's office is City Hall of Newport in Staunton Island. Roger C. Hole was elected Mayor of Liberty City in 1992 and during this time proved to be corrupt. Hole, who was being controlled by Forelli Family Don Franco Forelli, caused numerous controversies during his term in office. In 1993, three Russian prostitutes and a construction company manager were caught trying to get a government contract from Hole. In 1995, he was photographed with members of the Forelli Family whilst he was accused of securing drugs for city officials in return for sanitation contracts. Hole was also accused of sleeping with two underage girls. Eventually, his connections with the Forelli Family resulted in his own death in 1998. During his term in office, he raised taxation, reduced public expenditure, increased bureaucratic costs and kept Liberty City in the national news. O'Donovan came to power by making numerous promises, one of which was to keep the Ferry service and another to improve the state of the Portland El service. By 2000, the ferry service was cancelled and in 2001, the Portland El service had not been improved. O'Donovan, much like Hole, is also corrupt, quickly falling under the influence of Salvatore Leone after being rescued from Massimo Torini and the Sicilian Mafia. O'Donovan, who past includes rumours of corruption, drug abuse and prostitution, also begins to introduce numerous hardware stores into the city, possibly due to his brother being in charge of the Donovan Hardware company. 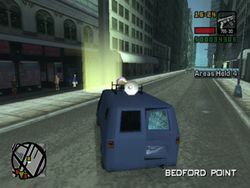 O'Donovan, however, does introduce helicopters for the Liberty City Police Department and in April 2001 promises to revamp the Red Light District. Mayor O'Donovan has been doing all. he can to help Liberty City for the past 4 years. However, he has recently come under fire for his commercials interests, including endorsing a nail gun. His attempts to the rise in violent crime in Liberty City have largely unsuccessful, but he has increased the number of hardware stores fivefold over the past two years. This page was last modified on 6 April 2017, at 19:51.